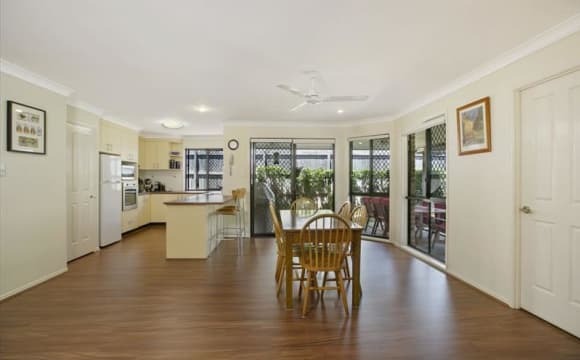 This is an old-style Queenslander house with a bright open living/kitchen area and a good sized deck. Plenty of room so you don't feel like you are living on top of each other. There is also a rumpus room/second seating area downstairs if you want some peace. It is one row of houses back from the main road at Cannon Hill but is amazingly quiet. We have a student here already that loves it for the convenience to the shops and bus routes. She often takes the bus instead of driving to uni and can travel door to door to the St Lucia Campus in 40 mins. 30 mins straight to the city centre, 15-20 mins in the car. The Main living areas furnished but can move things around/store items as needed. 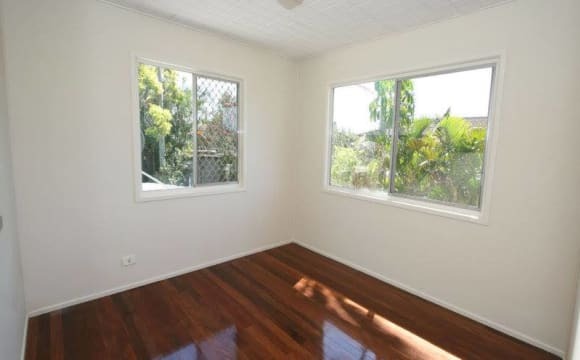 Hardwood floors throughout top and tiled on ground floor. 1 room available. 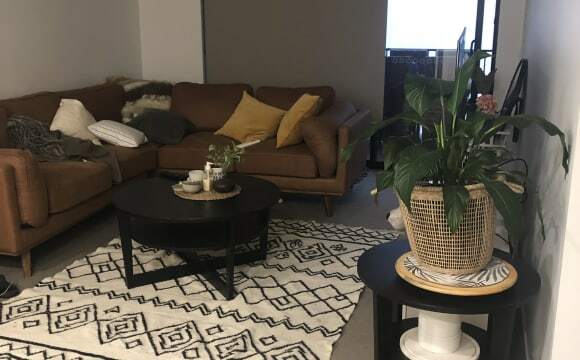 Smaller room upstairs ($170 week all in) - furnished as needed, shared bathroom. Furnishings are available if needed (single bed, drawers, wardrobe, table, chair, bedside-table lamp, rug). Kitchen and living areas are shared. Plenty of off-street parking available/double carport and large drive. Shared laundry area with a washer and a dryer. Homey wood burner in the corner of the main living area heats the top floor ( free heating all winter from available firewood). The pool area is currently under renovation and off limits but the rest of the garden is in use. This house is right next to Cannon Hill bus station and only a short walk to the train station (&lt;10 mins), 15 mins to the airport by car. Lots of places to eat nearby as well as convenient for shopping. Near a main cross-road and only a few minutes to motorway links. Internet and garden maintenance included. $20 a week for bills to be paid weekly with rent (Electricity and Water). 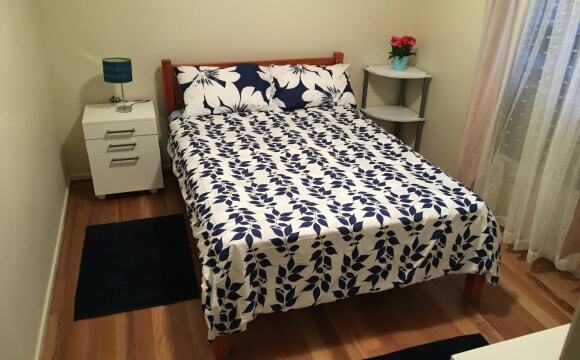 - Large Room with Ceiling fan &amp; Timber Floors - A/C in the Lounge Room - Shared Bathroom - Fully Furnished House, all you need is your Bedroom Essentials - Large Yard - 10 Minute Drive from the CBD - Local Shops within walking distance - Heaps of on-street parking - Cute puppy as your flat mate :) You'll be living with just myself and my 6 month Old Labradoodle. I'm looking for someone who is clean &amp; tidy, enjoys socializing but also respects space &amp; privacy. Ideally would prefer a Full time worker or someone who works most days during the week. Massive Master with en-suite and BIR. Seperate entrance to the room very private. Enter via Private balcony. Furnished with KING Bed and seperate fold out bed, couch, table, side tables. Extra $30/week for extra person. All bills included- Electricity, water and UNLIMITED internet. Also, Fetch Tv for entertainment. Prefer mature, clean, respect personal space, easy going tenant. Suitable for COUPLES, friends, single working professional. 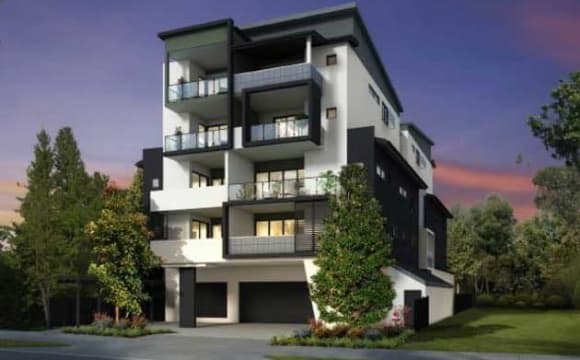 Close to public transport and all amenities. Walk to Cannon Hill plaza, Kmart, Woolworth, Coles, Sushi, Subway, etc... Bus stop outside on Richmond Road walk 1 min.Walk to Cannon Hill train station 15mins. Get on to the highway to Gold Coast or Sunshine Coast in 5mins. It is a 2 bed, 2 bath apartment with a modest outside balcony, and one undercover carpark, which we can cycle through if you would like. Fans and aircon in every room. I've got netflix, xbox, big tv and surround sound system. Walking distance to both Zarraffas and McDonalds which is awesome but dangerous. The Apartment Building is named Cannon Green Apartments focusing on Green Living and the environment. 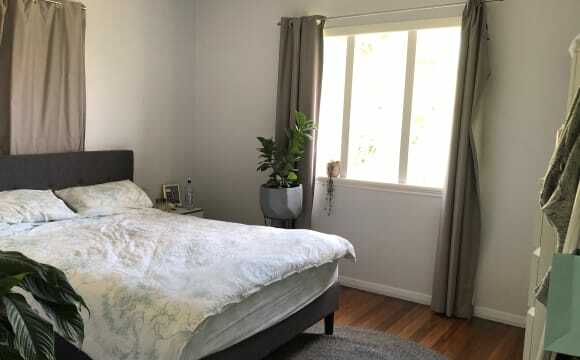 Located in an attractive suburb with Cannon Hill Shopping Centre close-by, featuring Woolworths, Coles, Kmart and heaps of other stores, as well as other organic food stores and food outlets eg. Wray Organics. The Train Station is a 5-minute walk. 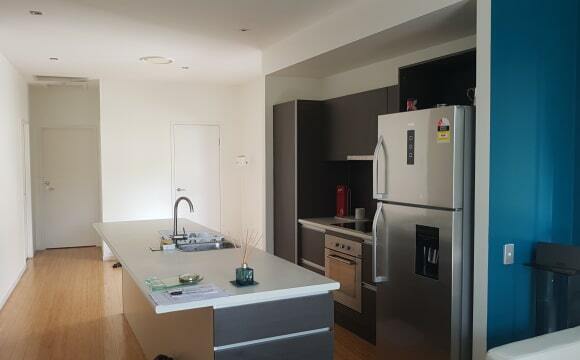 The apartment has a lovely modern kitchen with a dishwasher, internal laundry, air-conditioning and a beautiful balcony. I have the second bedroom available with its own bathroom and bathtub, with a build in wardrobe. Unlimited internet can be provided ($30/month). Room is 3x3 with built in robe and AC Brand new house. Gas appliances. Close to transport. Plenty of common space. Great housemates. 2 bed, 2 bathroom. Fully furnished apartment however if you wish to bring your own furniture that’s totally fine! Netflix, smart tv, coffee machine, air conditioning in all rooms, nice sized balcony with a bbq. 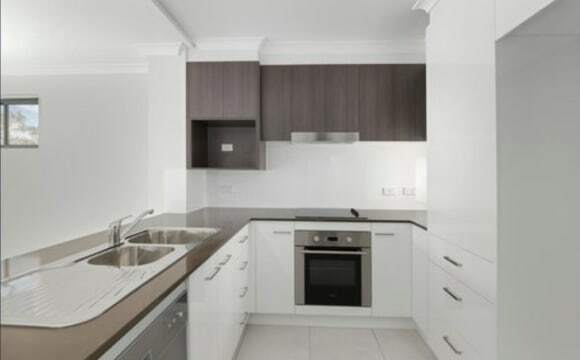 For rent - NEW self contained apartment in Carina, with own bathroom, own kitchen (with cooktop, oven and plenty of cupboard space), own entry, lots of storage space for luggage etc. Bus stop at doorstep - and Cannon Hill Woolworths, Coles, Aldi walking distance away. Double glazed windows fitted througout. Lots of street parking available - very safe neighbourhood. Flat is under a house but is legal height and has its own electricity meter. Owner lives upstairs. There is space for your washing machine in the laundry as washing machine is not provided. Prefer single employed person, must supply work reference to provide proof of employment. Rent is $250 per week plus bills. Cheap internet with unlimited downloads for $25 per month. Bond is 4 weeks rent, and rent is payable weekly or fortnightly in advance. Water usage applies. Own electricity meter downstairs, so electricity is not shared. Minimum 6 month term required. NO COUPLES, NO SMOKERS, NO PETS. Place is not suitable for children. Please do not bargain, price of rent is not negotiable. Inspections by appointment only, please contact me to arrange an inspection time. Look forward to hearing from you. 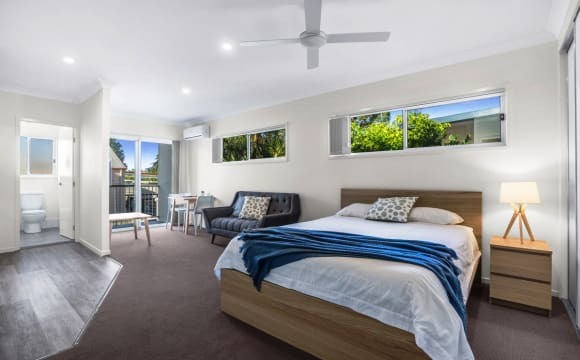 The unit has ducted air-conditioning in the living area and all of the bedrooms, ducted vacuuming, NBN, and gas stove top/hot water. 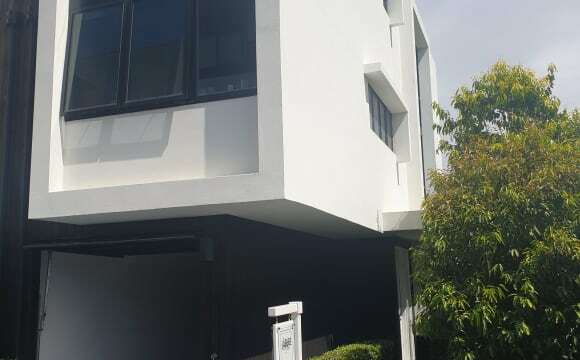 As you can see in the photos it has a modern style and open living area with attached balcony and plenty of natural light due to windows from the bottom floor all the way up the staircase. Parking is in a tandem garage or on the street. It has operated on a first in best dressed basis however the other flatmates would surely be open to negotiations. For anyone who is in need of a bed but is strapped for cash I'm willing to leave the ensemble base + mattress for you at no cost, otherwise I will get rid of it by the time you move in. Right now I am unemployed so I can be very flexible with arranging inspections! Granny flat under main house available with own kitchen, bathroom, lounge &amp; bedroom. The house also has a pool for the hot summer days. 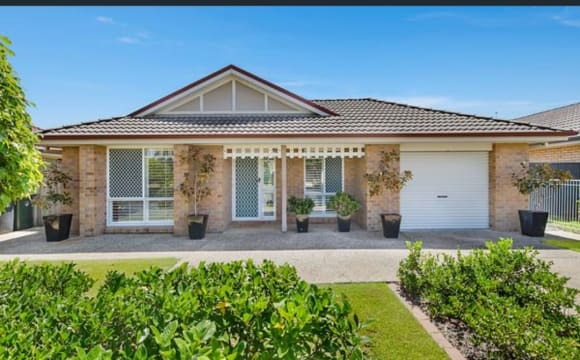 700m from Murarrie Station and 5min to bus stop. This property has ample space and does not feel like you are living on top of each other. 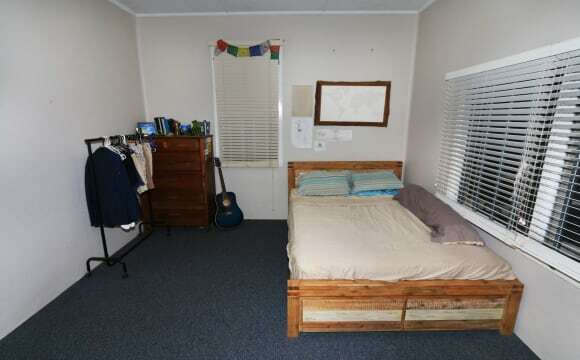 All bedrooms are upstairs, but have been spread out. 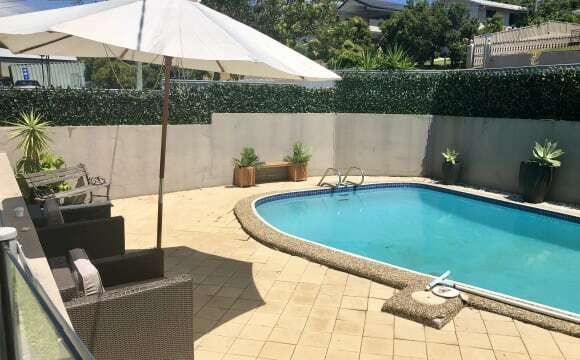 The place includes a pool and gym within in the complex, aircon and fans in all rooms, as well as plenty of storage and your own private balcony off the bedroom to have your seperate space. We look out over a creek and bush, so it is a very quiet area but within 7km of the city. 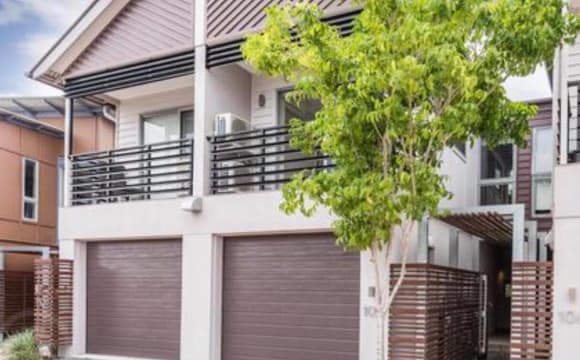 It is close to practically anything you would need, including supermarkets, bottle shops, cafes, japanese restaurants, bulk billing doctors, dentists, within 200m of a bus stop that goes to the city, a 15 minute walk to 2 train stations both on the cleveland line, and several parks. To top it all off, the suburb is very safe. We have lived here nearly 20 years and have never had any issues with criminals. We also have a pet dog. Don't miss this rare opportunity to rent a large 4.5M x 3.5M bedroom in the downstairs of our quiet family home. All water, electricity utilities and unlimited internet is included! The room is huge and also has 2 built-in cupboards. House is a 2 storey so you have the downstairs half of the house to yourself most of the time. You have your own fridge and your own newly renovated bathroom toilet and shower, plenty of storage space, and off street parking. 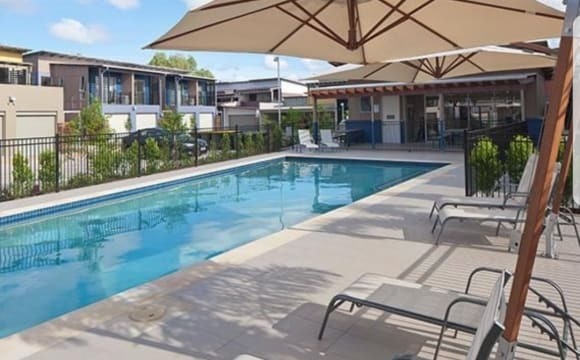 We have incredible views of the Brisbane Polo Grounds and great location, 1 block from the Wynnum Road buses, 1 minute to Cannon Hill shops and bus interchange or train station, 1 minute to the Gateway Motorway, 7/11 store at end of the street, inground pool and lounge chairs, home gym and new full sized treadmill, new washer, 2 clothes lines, full kitchen with professional size stainless steel oven and gas cooktop and every cooking appliance under the sun, microwave, coffee machines, new dishwasher, big backyard, veggie gardens, gas BBQ, patio area with stone fire pit, all at your disposal on our quiet cul de sac street. All this for just $180 per week. Looking for a quiet, single female with no pets. Student preferred. Room is available on April 21st. This room only becomes available once every 2 years or so, so be quick! Call or text Samantha if interested. This lovely &amp; modern 4 bedroom low-set brick home is located just 500m to Cannon Hill Train Station and is located in a quiet upmarket residential area. Bus stop is approx. 300m away from our door along with local shops also close by. You do not need a car to live here! 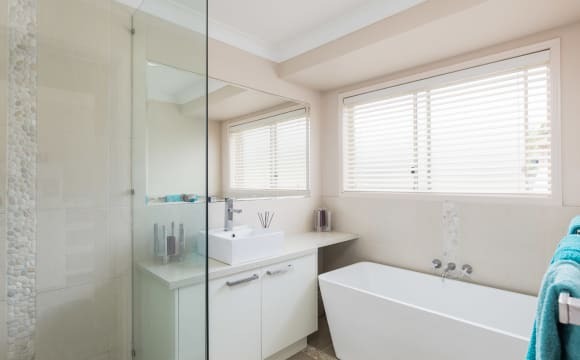 Your bathroom has access from the bedroom and if you need two bedrooms either for a study or storage, that can be discussed. There is potential for you to have your own living area as there two areas within the home. This is a great property. Hi got 1 room left got a English and Scottish girl staying room available 7th April . 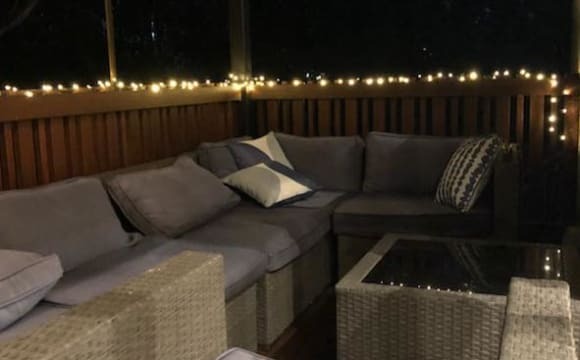 It has a garden and 2 decks 1 with a BBQ area its a short walk to Murarrie train station from Scotland been here a few years. Our property is on 3 levels. The Mid level totally private for our guest. 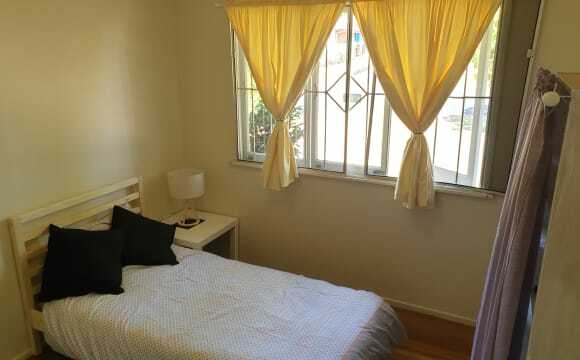 Private furnished room, with small fridge, bathroom and private on your own level. We are located next to the swimming pool and barbecue facilities.